While maintaining proper oral hygiene and eating a healthy, balanced diet are important for your teeth, certain vitamins and minerals are beneficial to keeping teeth healthy and strong. Vitamin D is a vitamin that is important for good oral health. Vitamin D helps the body create and maintain strong and healthy teeth. Vitamin D works with other vitamins and minerals in the body to build strong teeth and bones. 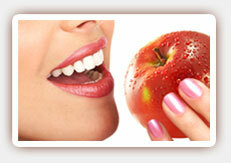 It is very important for both children and adults to get enough of this vitamin for good oral health. While children need Vitamin D while permanent teeth are being formed, adults also need adequate amounts of Vitamin D to keep teeth strong and prevent the formation of cavities. Vitamin D is not only important as one of the building blocks of teeth, but it also helps prevent cavities by strengthening the immune system to fight bacteria that can lead to tooth decay and gum disease. To get enough Vitamin D, choose natural sources rather than supplements. Get enough direct sunlight whenever possible to help your body to create this vitamin. Good food sources of Vitamin D include fatty fish, cod liver oil, beef liver, mushrooms, eggs, and products such as dairy, juice, soy, and cereals that are fortified. 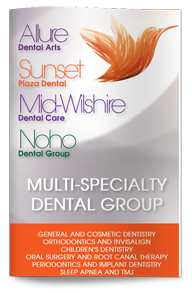 For individual recommendations on proper nutrition and suggested vitamins and minerals for proper oral health, make an appointment to see our West Hollywood dentist for a thorough examination.